It would come as no surprise if Brand’s portrayal of Aldous Snow, a character as out of control as Arthur Bach, was the inspiration for the remake. Brand embodies the character of Aldous Snow much the same way that Moore embodied the character of Arthur Bach. However, his attempt at recreating Arthur Bach, while admirable, fell far short of the original. Because of Brand’s natural comedic ability, the movie had its share of laughs, and it was entertaining enough overall, but not worth paying to see it in the theater. The storyline was similar to the original “Arthur,” but never delved deep enough into what made the original character so engaging. Brand has the comedic timing down, but never really seemed to be the out-of-control drunk that Moore was in the original. His character was fairly even-keeled throughout the movie, and if not for the constant sipping from his flask, you would never have known that he was supposed to be drunk. Unfortunately, the rest of the cast did nothing to help pick up the slack. In fact, the supporting cast was such a noticeable drop-off from the original that they actually ended up being more of a hindrance than a help in moving the story along. The presence of the brilliant John Gielgud (as Hobson) and Liza Minelli (as “the nobody from Queens”) was noticeably absent in this mediocre remake, as was the rest of the supporting cast. Remaking a classic movie is always a risk because of the inevitable comparisons to the original. This remake failed to live up to the original by a large margin. 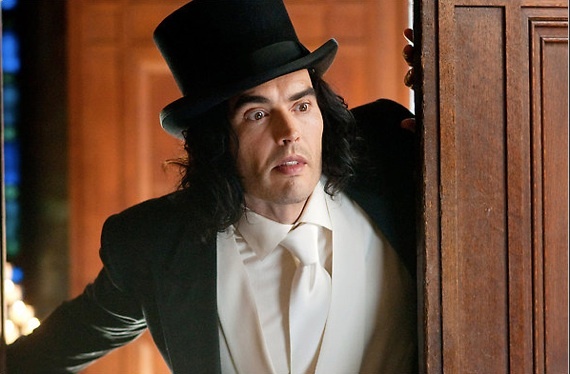 Fans of the Dudley Moore’s “Arthur” who are interested in seeing Russell Brand’s version should save their money and wait until it is available on DVD.